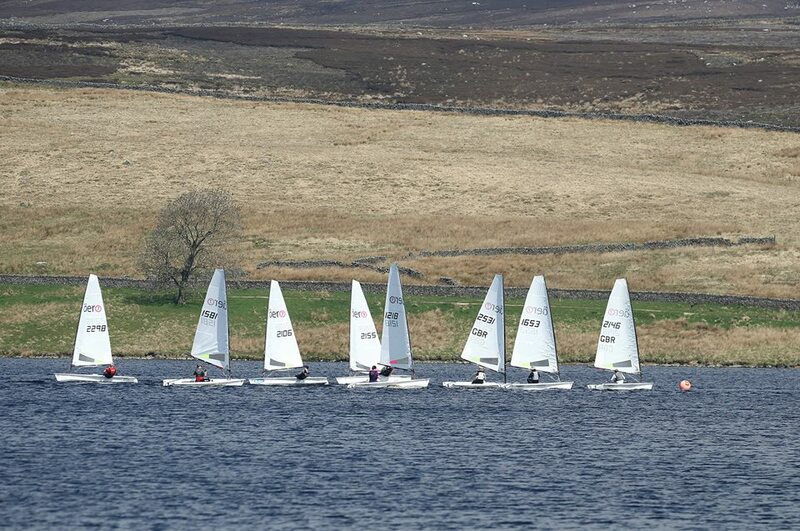 The second event in the RS Aero Northern circuit took place at Yorkshire Dales SC on 6th May. 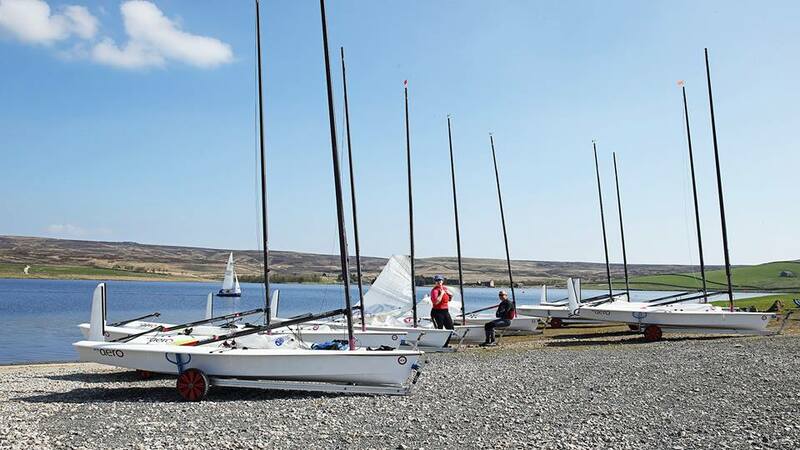 We had 18 enthusiastic RS Aero sailors 3 Aero 9's and 15 Aero 7's and welcomed a couple of very quick new youth sailors to the circuit. A few people made the journey on Saturday and enjoyed a BBQ and a few beers in the beautiful sunshine, which we had all weekend (unusual for a bank holiday!) The format was 2 races in the morning, a fantastic YDSC lunch, and 2 races in the afternoon. Phil Whitehead did us proud as race officer setting good courses in challenging changeable conditions. The wind was light, with some shifty gusts which made the beat to the windward different each lap and much was to be gained or lost! Race one was delayed slightly as the wind shifted around. Once we were away Jamie Rastrick (Yorkshire Dales) took the lead, which he held to the finish. Jamie took a second win in race 3 which secured him the overall win. 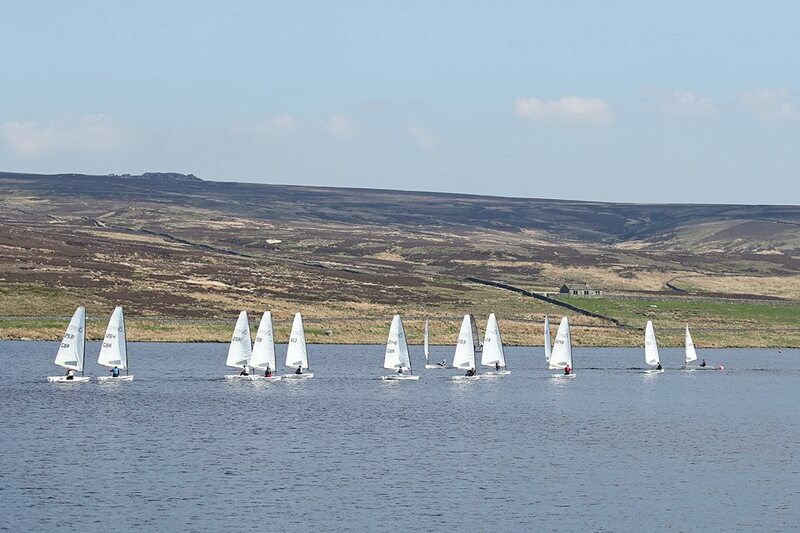 Roscoe Martin (Ogston) sailed well and consistently taking three second places in the testing conditions. Iain McGonigal (East Lothian) and Andrew Molyneux (Huddersfield) both finished on 10 points. Each had a win but Iain took the final podium position. The fleet had close racing with places and finishing order changing in each race. It was great to have Mark Rolfe (Bartley), Clive Howland (Combs), Keith Escritt (Yorkshire Dales) and Chris Stanbrook (Bala) join the northern circuit for their first event. Thanks to all at YDSC for a fantastic event and of course excellent food and drink from the galley. Next up on the RS Aero UK Northern Circuit is Ullswater Single-handed open on the 26/27 May and Huddersfield on the 10 June (online reg is open). 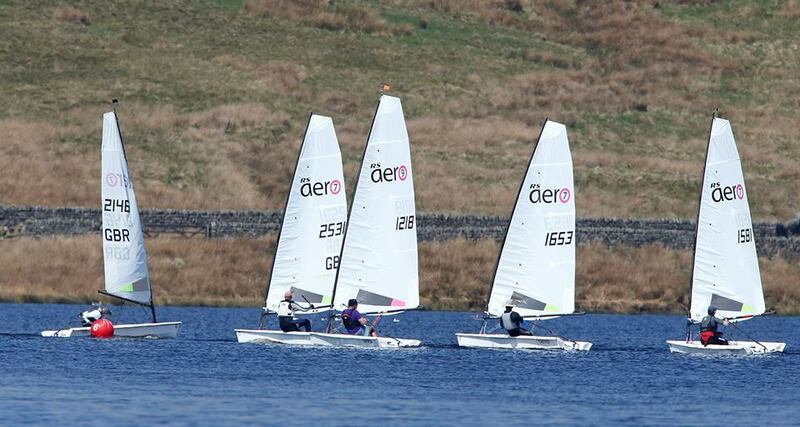 The UK Nationals at Abersoch, North Wales, is in between these two on 31May-3June which has now hit 50 entries! Full details of each event can be found on the RS Aero UK events list. See you all at Ullswater!